There are a number of angles on geographic region that must be considered in the life of a semiconductor. The easy one is the headquarters of the vendor. NEC is a Japanese company (now part of Renesas), whereas Texas Instruments is US-based. The 2nd regional consideration is the billing location. The Japan-based car manufacturer Nissan may place the order and get the invoice. However, the shipping address for the chip may be in Tennessee where the car is finally assembled; so the chip might get shipped to the USA, a 3rd regional classification. It can get more complex as subsystems like engine control units (ECUs) or audio equipment (radios) might be built in Taiwan or by Bosch in Germany, leading to a 4th region involved. Where the final electronic equipment gets sold may be the last (the 5th) country that chip will visit - as the BMW 7 Series automobile is sold for use in California. It is quite possible that the programming of the memory and/or microprocessor is not done until the car is in or at least on its way to California, so the emissions requirements, radio frequencies, and safety standards are proper. There are many reasons this final resting place for the end-equipment is of interest as the market forces and equipment specifications in the end market determine the features to be accommodated by the equipment, the semiconductor chips, and the software of the electronic system. Two additional locations may be involved before the chip is soldered onto a circuit board and those come into play when a contracted third-party is used as the assembly house for the board. Companies such as Flextronics may buy chips, program them, solder and build the subsystem, and test it. Such contractors might independently buy the chips or at least handle them, adding possibly an additional billing/invoice (location 6) and shipping location (7) to the tally of locations. For typical market research reporting, two of these regions are most prevalent: billing and headquarters. Most important is usually the country/region where the bill is sent to the customer. This may be a central location and the product may never physically pass by there. But this is how the vendor tracks its business revenues so it becomes most important in reporting. The second region of interest is usually the country where the vendors' headquarters is based. This is problematic as well. Many companies are multinational and the product may never pass through that location either. But revenues are typically attributed to the company in its headquarters location, even if the company splits out its overall sales by region otherwise. However, in the modern global marketplace that we live in, this is a complexity that must be accepted. Key to all regional revenues is the currency exchange rate used to determine total revenue in any time period. If the US dollar ($ or USD) is the most common currency by which revenues are compared, then the "strength" of the dollar versus a country's local currency can have a varying effect on apparent growth in a region over time. This may mask real activity or success in a locale, at least temporarily. In some ways things got simpler when the Euro took over for many European countries' currencies, but with Britain standing aside and other countries around the globe still using their own money, currency exchange rates will remain a fluid part of revenue totals and comparisons. Different geographic regions come into play long before any finished semiconductor is sold. Even 20 years ago before the industry "dis-aggregated" (went away from IDMs more to fabless, foundries and licensing of IP), the pure but unprocessed silicon wafer may come from a vendor† in one country. The fabrication of the semiconductor chip would be done in a fab† that could be in another country. Often large quantities of these dice (plural for "die") were sent to special "assembly" plants† in Asia to be put into protective packages. They were likely electrically tested† fresh out of the fab, but the final test† of the fully functional semiconductor could be done back at the original vendor, possibly after some "burn-in"† (fully-powered operation under heat stress to weed out early-life failures) and physical stressing, in yet another location. The (†) indicates operations that may have been performed at the IDM's facilities, which could also be in different countries, back when IDMs were more practical. It is essentially impossible for an outsider to trace the travels of any particular chip through its life through the time it is programmed and soldered into a piece of end-equipment, although the vendor keeps close track of such information. However, like a passport, most larger semiconductors have at least one country stamped on the outside of the packaged chip (usually the location where assembly took place) along with possibly a brand or intellectual property mark, but this is only one of possibly many stops made in the long manufacturing journey. The way cost-of-manufacturing may accrue as a product is built may require a keen eye on the time that product is in a country and/or the amount of work put into it there. Taxes and tariffs may need to be paid accordingly. Transportation costs and transit times must play into scheduling production for just-in-time (JIT) delivery to meet customers' needs, let alone the bottom line. There are still two other important locations in the heritage of an electronic circuit and these are centered around the design. The design of the circuit is a long and arduous task that may involve dozens to thousands of engineers. These designers are often located at the semiconductor vendor, but they could be in teams in different continents and include software grouped in other regions as well as hardware designers. The second design consideration is where the design team is that determines how the chip will be used in the end-equipment. This design team is at the customer, or possibly a third-party on contract to the chip customer, and also can involve many teams, both hardware and software plus system integration and industrial design. The location of these design teams are critical to know because a semiconductor vendor must have adequate engineering staff local to the customer designers so they can provide credible support to them during the complicated design process. This staffing requirement may be at odds with sales staff which is located in another location, even country, and usually funded based on sales revenues there. There can be different reasons for designing, building, or marketing electronic products from various countries and regions. The cost is one big reason, but more subtle reasons also come into play. "Domestic" products are often favored by OEMs or end-customers even though what constitutes "Made In (your country)" is highly debatable. Often it is just the perception of whether the product was made at home, but there are often legal definitions as well. There are stories of governments insisting that technology and intellectual property be shared with the locals before markets are open to outsiders. Quality or attention to detail may play into the equation. Social issues can also color the desirability of certain regions. All of these topics are similar to what influences regional/country/local choices in other industries, although in high-technology such decisions are more likely to be made based on factors that can readily be put into a mathematical equation rather than just "soft" feelings. Again, modern manufacturing processes and the global marketplace are complex. Identifying the "country of origin" or any other location-based criteria for a component is very involved. 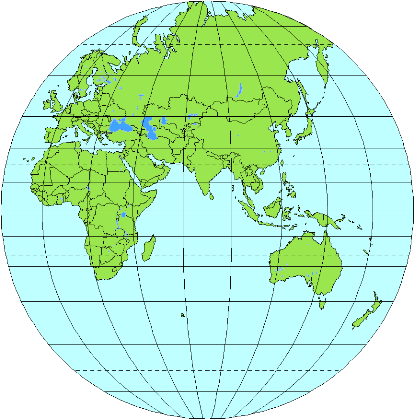 The Commonwealth of Independent States (CIS) was created in December 1991. In the adopted Declaration the participants of the Commonwealth declared their interaction on the basis of sovereign equality. CIS consists of: Azerbaijan, Armenia, Belarus, Georgia, Kazakhstan, Kyrgyzstan, Moldova, Russia, Tajikistan, Turkmenistan, Uzbekistan and Ukraine - consisting largely of former Soviet Socialist Republics - no longer a Union. The cigarette print ad above is from a 1952 football program. Be Happy - Go Lucky! 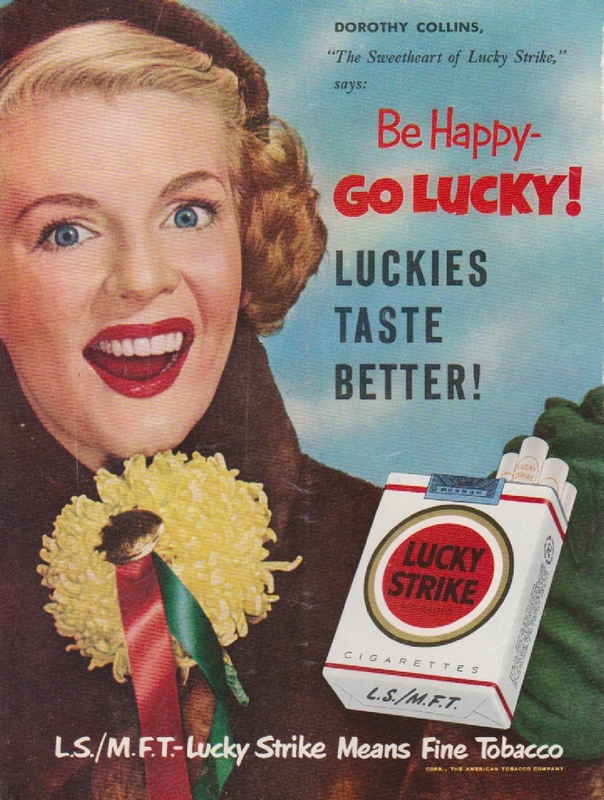 Luckies taste better! It is surprising that 60 years ago so many people smoked tobacco - even people whose livelihood was dependent upon their lung capacity and vocal chords - before people knew or admitted the horrible effect that exposure to tobacco has on the human body from addiction to triggering cancer. Ms. Collins was a famous singer who did not live to see her 70th birthday due to heart and lung ailments. Three dimensional photography has been around for over a century, originally using pairs of still photographs, as shown below. Later motion pictures offered 3D depth utilizing cardboard glasses with a red and blue lens. Today's passive and active 3D glasses are modernized versions of those original props attempting to provide a real-world visual experience. One would think that modern technology could eliminate the annoying glasses. Holograms are about the only real solution to reproducing a life-like three-dimensional image, but that technology has made little progress in this direction for the last 50 years. The image below is a scan of an old (1920's?) 3D picture card, that was placed in a viewer that allowed the left eye to see only the left image and the right eye to see the right. The brain blends the two images to form a proper three dimensional scene that is as realistic as real life, except that it is only in black and white and a still image. Natural depth perception is a result of the fact that each eye sees around each object a little bit differently than the other eye because of the spacing of the eyes. The camera taking a 3D photograph needs to replicate that separation and distinction. Due to the great distance to the subject matter in this pair of "stereoscopic" images compared to the perhaps 3" to 4" spacing of one's eyes, differences in the two images are difficult to see. However, looking behind the rump of the horse, there are two women in big hats holding American flags. In the left-hand picture there is clearly more of the white blouse of one woman showing behind the horse's back side than in the right-hand picture (near red dashes). The brain senses the slightest difference in images coming from both eyes to distinguish depth, determine distances, and evaluate texture. Distance, in turn, helps to visually determine actual size of a subject. Living only in two dimensions, a small snake close by could appear as large as a big (and dangerous) snake farther away. Traditional scientific conventions in notation of numbers and measures are utilized in electronics and semiconductors with some slight variations when dealing with the powers-of-2 inherent in binary counting. Marketers have been known to revert back to traditional convention when it makes their products appear superior, but this is greatly discouraged. Any numbers associated with bytes and address ranges should refer to Base-2 numbers. Certain official standards organizations (IEEE) alter the prefix slightly for Base-2 (binary) to terms with "bi" in them like kibi, mebi, gibi, tebi... although these are rarely used in common practice. Clock rates and pixel counts are usually tied to the Base-10 numbers, even if they are often doubled or ultimately dependent upon bytes for storage. If in doubt, check the specs because the 2% differences do multiply up to become nearly 10% at the tera- level. For additional information on numerical representations see: bit, byte, word, hexadecimal, 0, 1. Helpful data tables follow. The dialog on the back of the card (shown below the photos) is interesting in its content and time setting as well as the flair with which the information is described. 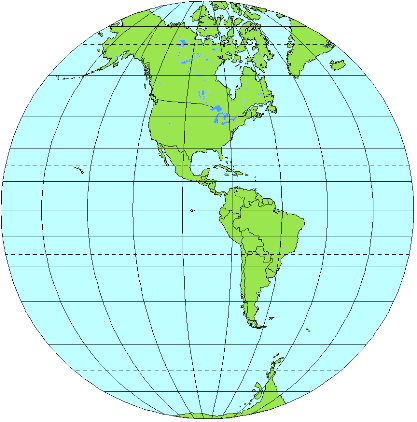 Note that latitude and longitude were given – 100 years ago. The Keystone View Company was founded in 1892 by B. L. Singley in Meadville, Pennsylvania. It rapidly improved and eventually became not only the world's largest but also the best view company. In the early 1900s, when stereoviewing was declining and other companies were in trouble, Keystone bought their stocks and incorporated them into their own holdings. By the 1920s the Keystone Company was the sole surviving major producer of conventional card-mounted views anywhere in the world. They had offices in London, Paris, Sidney, Capetown, Rio de Janeiro and Tokyo. As general interest in stereo dropped off with the advent of postcards, radio and movies, Keystone began emphasizing the educational value of their product and the use of stereo in the diagnosis and treatment of eye problems. The company survived into the 1970s, continuing to produce better and better views and viewers while public interest dwindled to a non-viable level, commercially. As one critic rather unkindly remarked, "Keystone perfected the buggy whip just as Ford began producing cars."